An independent travel guide to DMZ with candid reviews and recommendations. No sponsored content, no advertorial. Vietnam's former Demilitarised Zone (DMZ) is the slice of land that formed an imposed border between the Communist north and the US backed south from 1954 until the end of the Vietnam War in 1975. It was the bloody frontline of a long war that claimed perhaps hundreds of thousands of military and civilian lives in the surrounding area. To this day it is one of the most intensely contested stretches of land on earth. It witnessed land battles that are etched in history - Khe Sanh, Hamburger Hill, Lang Vei, and the Easter Offensive, all occurred here. The US pummelled the entire region from the air for years, destroying cities, towns and lives. It was here that the US backed South Vietnamese government hoped to plug the flow of men and materiel south from the communist north. Despite the intensity of the war effort, Ho Chi Minh's troops managed to keep the supply lines open - albeit at a terrible human cost. The intensity of conflict along the DMZ forced the Ho Chi Minh Trail west into Laos and Cambodia. The DMZ has long moved on from wartime contemplation though the hardship of entrenched poverty remains. The people of this area, many of whom belong to montagnard tribes - were thrust from the horror of war into a period of wrenchingingly slow recovery and deprivation - their land littered with deadly unexploded ordnance and poisoned by chemicals. It's only been during the past two decades that new roads into Laos and the clearance of unexploded ordnance have opened the area up to take a share of national development. 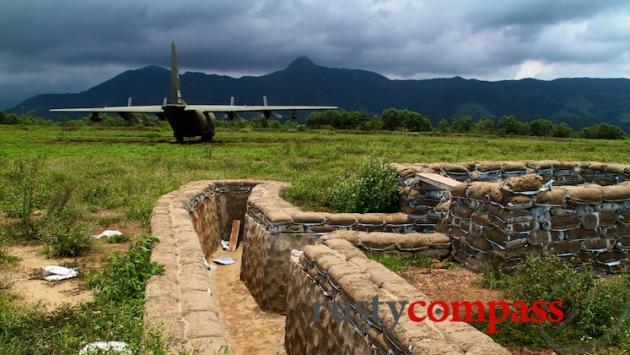 Each day, a few busloads of mainly Western backpackers, arrive at sights like Khe Sanh, The Rockpile and the Vinh Moc Tunnels to explore a war that most are too young to remember let alone understand. As the 40th anniversary of the end of the Vietnam War approaches, there isn't a lot for budding battlefield historians to see in the DMZ. Nor do the various sights and their museums do much to enlighten curious visitors. The day trip from Hue can be especially unsatisfying since it involves long drives and only short stops at the major sights. 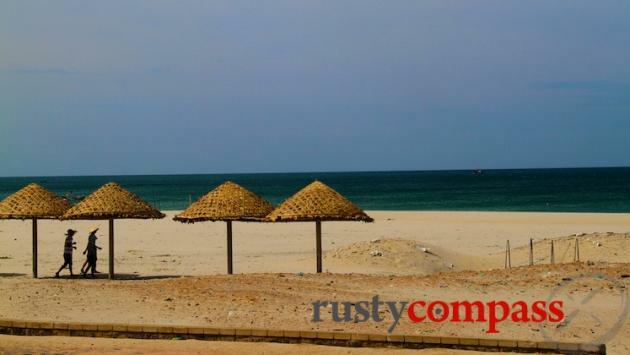 We recommend basing yourself in Dong Ha for a night if you have a serious interest in the area. The extra couple of hours on the ground during the day can make all the difference. 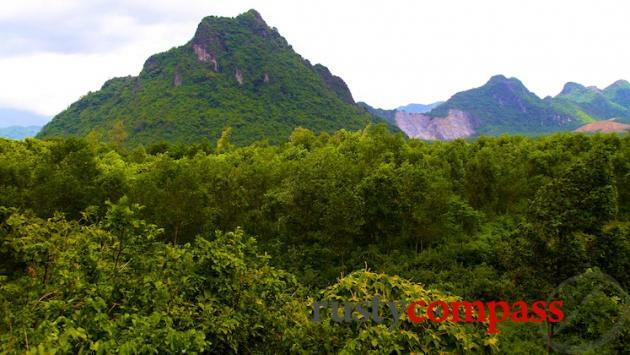 You may even want to consider making a full itinerary of it and travel from Hue, spend a night in the DMZ and then head further north along the Ho Chi Minh Trail to the spectacular caves of the Phong Nha - Ke Bang National Park - rather than double back to Hue. And for the serious battle historian, allocate two days and travel to Aloui west of Hue, north to Khe Sanh and on from there. It's possible to visit Hamburger Hill with a guide. 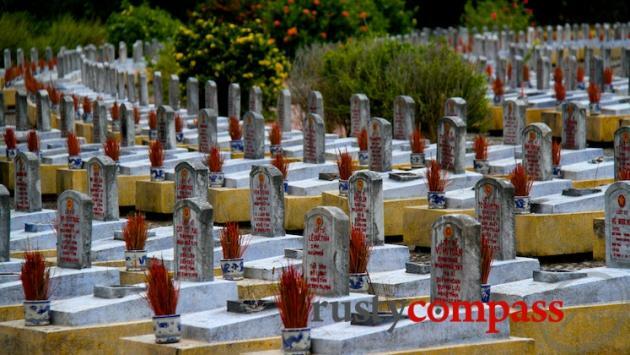 It's also possible to visit Aloui in a day from Hue. Even if you're a hardened independent traveller, the benefits of good local guide here are enormous. Your guidebook (or this website for that matter), cannot hope to replace the insights that an informed local commentary can provide. It makes no sense to try and discover this place under your own steam - unless you're only interested in the scenery. Dong Ha is the city that travel to the DMZ revolves around - though most travellers take a long, crowded and not wholly satisfying day trip from Hue. Dong Ha has little to recommend it except it's a good base. Dong Ha can be accessed by road and rail. Nearest airports are in Hue and Dong Hoi. You're most likely to be travelling to the DMZ on a tour of some description since you won't be able to make much sense of the locations if you're travelling independently. A guide is essential to know what you're looking at. We recommend spending a night in Dong Ha if time permits. It means your travel around the DMZ will be less rushed. Local buses, backpacker buses and taxis are all easily arranged for the approximately 90 minute journey from Hue to Dong Ha - train is slower. Options are slightly fewer from Dong Hoi. Check with hotels and cafes for the most up to date advice. If the DMZ is a special interest, it's worth considering an itinerary that would include Hue - Dong Ha / DMZ and on to Phong Nha caves (near Dong Ha) or vice versa. Hue or Dong Hoi airports can be used if time is tight. The Lao Bao border with Laos is located past Khe Sanh in the DMZ so it's possible incorporate travel to or from Savannakhet by road with travel to the DMZ. A DMZ day tour will usually cover a couple of hundred kilometres which means for most people it will done by car or bus. Motorcycle can also be a nice way to explore the area but you'll still need a guide to make sense of what you're seeing. Cyclists are occasionally spotted on the roads as well - be ready though, this is very hilly country. 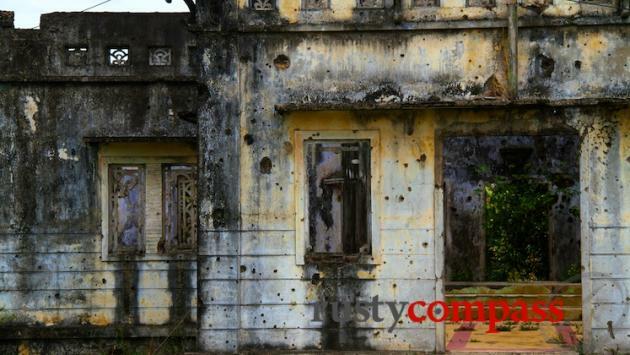 There are motorcycle tours operating out of Hue and Hoi An that include exploration of the DMZ. Remember that if you're unlicensed, you will not have any insurance coverage when riding a motorbike. Unexploded ordnance presents no serious risk to travellers to the DMZ providing you don't go off on an improvised trek into the countryside. Even then you'd be unlucky to come unstuck. We have never heard of a traveller being injured by unexploded ordnance but locals continue to be killed and maimed - though in far smaller numbers than in the two decades immediately after the war. There is a basic local hospital in Dong Ha and better (but still basic) facilities in Hue. If possible, try and get yourself to Hanoi or Saigon should you have any medical issues requiring attention. The internet is widely available in Dong Ha and there are also ATMs. The 3G mobile networks of major carriers - Vinaphone, Mobifone and Viettel all offer reasonably consistent telephone and 3G connectivity during the DMZ journey. The service drops out in some remote areas.